Protect stick from swords, saws, razors and shurikens with your shield and hit new records! Clean the way with shield and reach clouds in this escape rise up game. 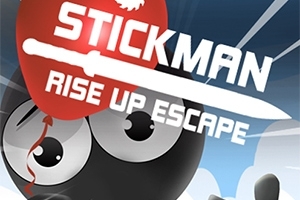 Touch the shield and protect the ballon or the stickman will fall, collect diamonds and make up your stickman friend.